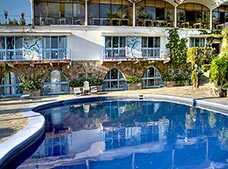 Taxco was recently declared as a Magic Town, full of historic monuments, and fantastic museums considered in Mexico as national heritage sites. Many of the main attractions in this picturesque town are wonderfully preserved colonial buildings, just waiting to be explored. Thanks to its hilly terrain, full of rivers winding amidst lush forests, you'll find an endless number of activities and points of interest, one of the most outstanding being Grutas de Cacahuamilpa (Cacahuamilpa Caverns), located less than 20 miles away. On a walking tour of Taxco, or while enjoying an extreme sport, you may run across a badger, an armadillo, a lizard, an ocelot, or even a wildcat wandering around. 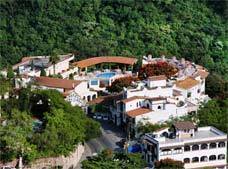 In the surrounding areas of Taxco there are also lots of birds, reptiles and mammals coexisting due to the good climate, the plentiful water supply and the dense vegetation, typical of the north of Guerrero State. This incredible edifice, built at the end of the 18th century, features a mural that recounts the history of Mexico. In addition, it is furnished with period pieces that harken back to the days of powerful landowners, when horse-drawn carts rolled down the cobblestone streets. Nowadays, this building houses the City Council. This colonial mansion exhibits monograms of the Holy Family, as well as magnificent sacred and secular works of art distributed throughout the 14 halls. Even the hallways are adorned with pieces depicting the rich religious history of Guerrero. This museum was built in honor of Mr. Jose de la Borda, a European businessman who ordered the Santa Prisca Parish Church to be built as sign of the great love that he had for this picturesque town. 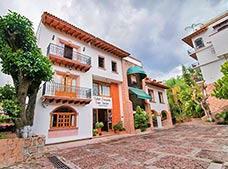 La Casa de la Cultura (Taxco House of Culture) is situated inside Casa Borda where a variety of social and cultural events take place. In 2002, a monumental statue of Christ was constructed and located on the Cerro del Atachi (Hill of Atachi), overlooking the city of Taxco. This statue can easily be visited by car or by walking up the hill. If you are in the area, then definitely visit this monument because the panoramic view, of the quaint town of Taxco, is simply amazing. 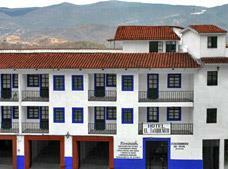 This old building, featuring a beautiful neoclassic facade, is one of the oldest convents on the American Continent. The original construction was made with adobe, under the watchful eye of the Franciscan monk, Francisco de Torantos, in 1592. Once, during its long history, a fire destroyed part of this temple only to be reconstructed again, in 1804. Since then, thanks to the extreme care that the population of Taxco has given this building, it remains in an excellent condition. In the southern Sierra Madre, in a mountainous area only a few minutes from Taxco, visit the Cacahuamilpa Caverns and be amazed by the marvels that Mother Nature is able to produce. Large amounts of limestone and mineral deposits that have accumulated over thousands of years can be observed throughout the inner caverns. Helped by low lighting, shadows and rock structures, visitors' imaginations work overtime as they admire the stalactites and stalagmites that have taken incredibly unique forms over thousands of years. These marvelous caverns awaken the explorer in each person that enters. Moreover, they have a mysterious atmosphere enhanced by the many legends told by the locals, giving a unique touch to this visit that really is an amazing experience. This magnificent mural was created by Juan O'Gorman, creator of the famous murals that adorn the Central Library of the UNAM (Mexico's main University). These murals have given this university campus, in southern Mexico City, international fame and recognition. 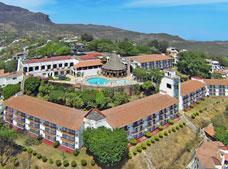 O'Gorman, along with his close friends Frida Kahlo and Diego Rivera, loved visiting Taxco. The plastic artist used the colorful local stones in this particular mural, taking advantage of their natural reds, greens and yellows to put together an impressive tribute to Cuauhtemoc, the last Aztec emperor, and beloved son of the nearby area of Ixcateopan. This is an amazing museum, located in a beautiful 17th century building, known as Casa Humboldt (Humboldt House), named after the explorer Alexander Von Humboldt, who stayed in this house when he visited Taxco in 1803. This museum features a baroque style facade and 14 exhibition halls with many objects that recount the history of the city and its mining growth, as well as important information about St. Prisca Parish Church, the main construction in Taxco. Here, you can admire religious objects, a wide variety of baroque art, ornaments from the 17th and 18th centuries, and temporary art exhibitions. One of the greatest examples of 18th century colonial architecture, this museum teaches us all about the culture and evolution of the people of Guerrero. 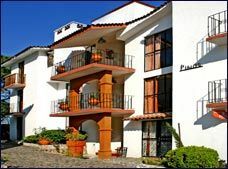 You'll feel as if you have stepped back in time when you see the sculptures, paintings, pictures, and different ornaments, strategically placed and well-lit, to highlight their beauty and the importance of the events that have led to what is now the gorgeous village of Taxco de Alarcon. In this museum, also known as "Patio de las Artesanias" (Craft Patio), you'll be able to see Mr. Antonio Pineda's collection of silver items from many artisans and designers. He managed to amass a magnificent collection, representative of silversmiths throughout the country. Moreover, the museum also displays the works with which Mr. Pineda won national and international awards thanks to his unique designs. On the museum walls there are magnificent murals, by David Castaneda, a local artist, that tell, in a very interesting way, the recent and ancient history of Mexico. 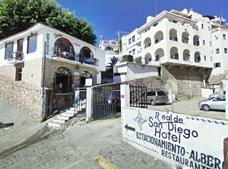 This museum shows us, through photographs and street plans, how the town of Taxco has evolved. Also on exhibit are about 300 pieces of pre-Hispanic art, such as vessels and statuettes, typical of the cultural diversity of ancient Mexico. This museum was built in honor of William Spratling, founder of the first silversmith in Taxco and a great promoter of local silversmith activity and the talents of Mexican artisans. He left a valuable artistic legacy for future generations to remember him by. Inside the exhibition halls, you'll feel nostalgia for ancient Taxco upon seeing the furniture and other original items while at the same time, in contrast, you can enjoy the modern conveniences of computers available for researching any museum topic. This church, dedicated to Saint Prisca and Saint Sebastian, is an excellent example of New Spanish baroque art, apparent in the ''churrigueresque'' (extremely decorated) style used on its facade and the use of talavera tiles in one of its chapels, as well as in its eye-catching dome. Due to its great importance, the construction of this parish church involved several artists who gave this unique building its shape and added their own distinctive touches. On its lavish facade there are diverse sculptural forms made of pink quarry stone. Its two tall towers are embellished with images of saints, and in the center there is the image of the Immaculate Conception, to whom the people of Taxco are devoted followers. Inside the church there are a total of 12 altars, each one adorned with extraordinary paintings, wood and gold leaf. Here, different saints, especially St. Sebastian and St. Prisca, are faithfully worshipped by the local people. It is difficult to describe the sensation people feel in this exceptional place, you really need to see it firsthand to feel its greatness. Taxco features a cable car that runs half a mile high for almost 200 yards; an attraction that can only be enjoyed in very few places in Mexico. Traveling all the way from Los Arcos, where the ride begins, to Monte Taxco, the cable car ride delights passengers with its incredible panoramic views of the city. 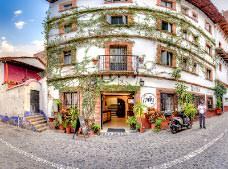 Do not miss the opportunity to view Taxco from a truly unique perspective. This is one of the most ancient monuments in the city, dating back to the 16th Century. Despite the passing of time and the fact that this temple has been remodeled several times, it still has its original structure thanks to the extreme care taken by the local people, who consider this place as the representative symbol of faith in Taxco. Holy Week is the most important religious festival by far. Local people take the celebrations very seriously and make processions along the cobblestone streets where the faithful carry out different penitence rites. 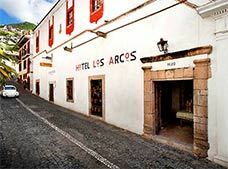 We cannot fail to mention the famous "Jornadas Alarconianas," considered the third most important cultural festival in the country, celebrated every year in honor of the famous dramatist Juan Ruiz de Alarcon, prodigal son of Taxco. During this traditional event, many exhibitions of art and culture are held, as well as entertainment and fireworks. You can be certain that, no matter what time of year you visit Taxco, you'll always find some festivity, since holidays and feasts in Taxco never end. 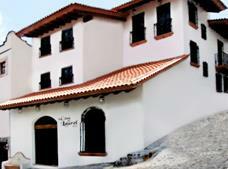 This archaeological site is located 22 miles from Taxco, in the town of Ixcateopan. This was one of the last towns conquered by the Mexicas and still features the remains of groups of houses and ceremonial structures. Ixcateopan is also the city where Cuauhtemoc, the Aztec emperor was born. His remains were buried under the main indigenous temple where the first catholic church of the town was built.